AT&T Wireless customers can now use one wireless phone to make or receive calls whether they are in Chicago or Paris. The company announced that it has now launched two-way roaming capabilities with 41 GSM carriers in 35 countries and the United States, with more than 30 carrier agreements representing more than a dozen additional countries signed and in the launch process. As a result, AT&T Wireless customers can use their GSM phones to make and receive calls when traveling throughout much of North America, Europe, the Pacific Rim, and other popular international destinations. 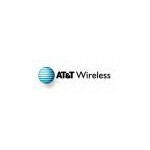 In addition, customers of AT&T Wireless' GSM roaming partners can use their phones when visiting the dozens of major U.S. markets where AT&T Wireless provides GSM/GPRS service.